All this cold weather has me craving a warm, satisfying breakfast. On the winter rotation has been hearty bowls of oatmeal and, of course, waffles. And lots of them. As I've said before, there's just something about waffles that get me better than pancakes or French toast. They scream weekend and mornings where it's okay to slow down. Luckily, if you pre-bake the sweet potatoes, they're also easy enough (and healthy enough) to work out for any day of the week, even a Monday. Especially if that Monday is a snowy one. Start by preparing your flax egg in a small bowl and set aside. 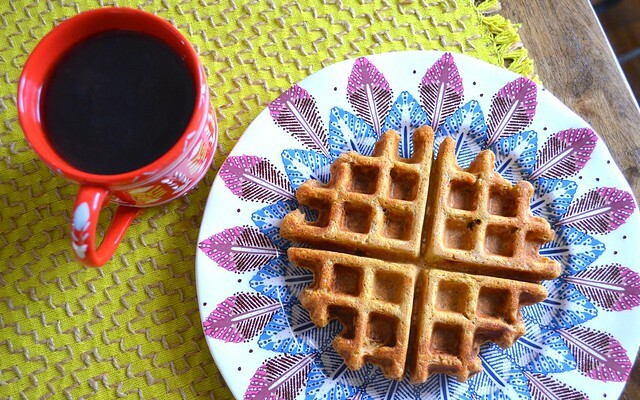 Begin preheating your waffle iron on your desired setting. 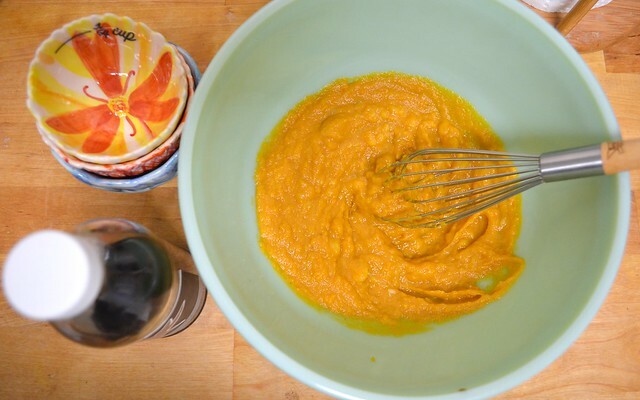 In a large mixing bowl, add your sweet potato purée and baking powder. 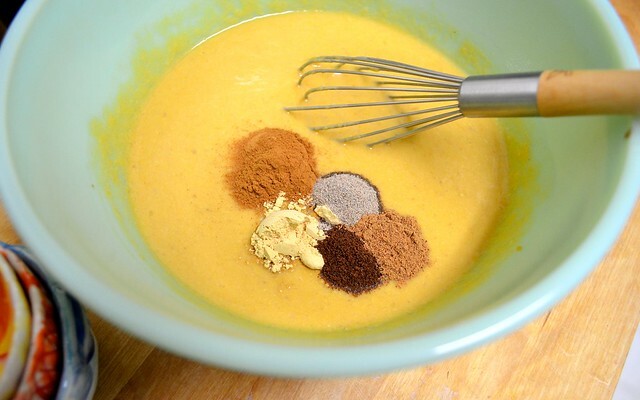 Whisk together until the mixture puffs up a little. 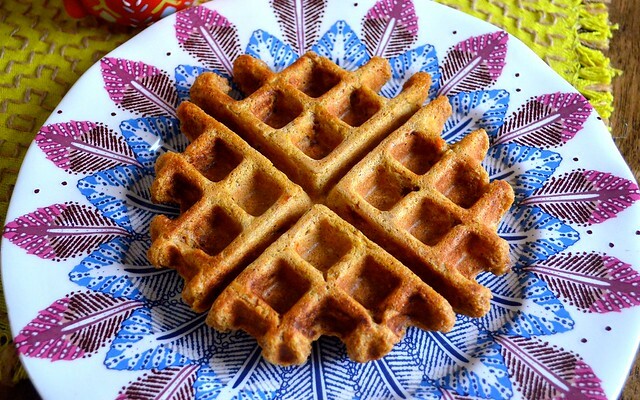 Fold in your flax egg and vanilla until well combined, then whisk in your almond milk. In the same bowl (easy, right? ), add your flour, rolled oats, spices and salt. Fold together until there are no dry spots left in the batter. Generously spray your waffle iron with nonstick spray. 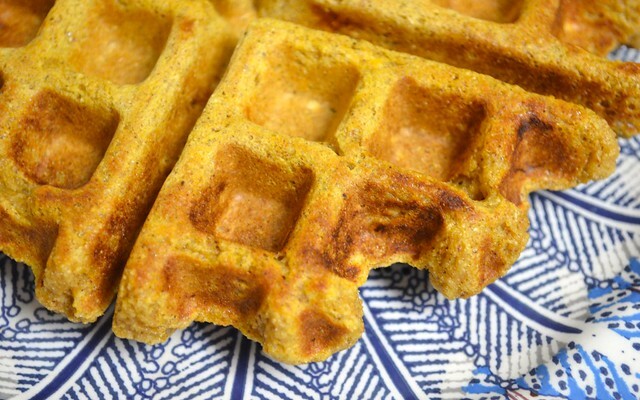 Add a ladleful of batter to the waffle iron and repeat until all the batter is used up (makes about 4 large waffles). 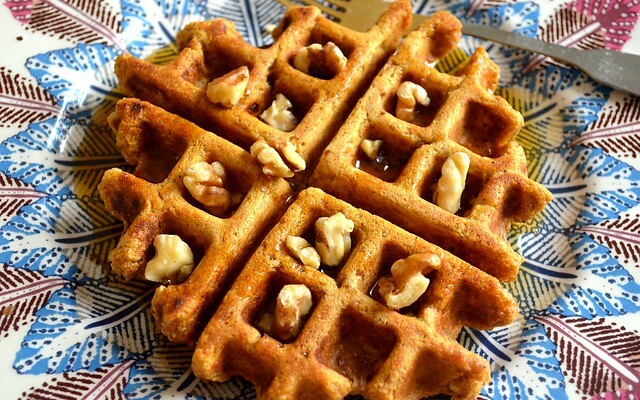 What I love about these particular waffles is that they aren't overtly sweet but that they hold up well to add-ons like maple syrup, pecans or even peanut butter. Perfect for quiet Sunday mornings and the leftovers (if they make it) toast up well for the Monday rush.